What do you think of when you think of spring? For us, the spring season conjures up images of low suns, blue skies, bunnies, lambs, Easter eggs, flowers and green, green grass. Basically a stereotypical meadow scene! We know not everywhere actually looks like this, but it’s just the ideal we have in our minds. It makes for such a pretty world don’t you think? If we could have control over how the world looks, we think we’d make it spring all year round. It’s just so beautiful! It’s a shame we don’t have complete control over the scenery, however, there is one piece of the spring scenery puzzle that we can help with, and that’s the green grass. We’re talking about artificial grass of course! The basis of our beautiful spring meadow is of course the grass, but the only stress-free and sure fire way to get a lovely green lawn of your own is by installing artificial grass. 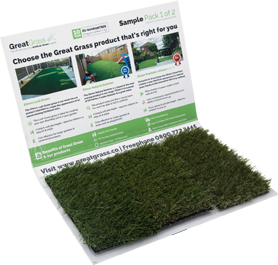 We have a range of artificial grass products here at Great Grass, even one that is aptly named “Natural Spring Grass,” for you to choose from.